September 23 2016 – We received a HERS score of 51 for the new Energy Star home at 4715 Ridgway Drive in Kendall Brook in Loveland!! That is tied for our best HERS score ever!! We upgraded the furnace to a Lennox 96% ECM furnace and also the basement blanket insulation from R11 to R19 and that made a huge difference. This means their new R&R energy efficient home is approximately 49% more energy efficient than a standard new home! If you are not aware of all the benefits of an Energy Star rated home, please read our Energy Star webpage or Energy Star and Energy Efficiency Blog page. May 16 2016 – We received a HERS score of 51 for the new Energy Star pre-sale home in Thompson Crossing!! That is our best HERS score ever as our precious best was 52. We upgraded the basement blanket insulation from R11 to R19 and that made a huge difference. This means their new R&R energy efficient home is approximately 49% more energy efficient than a standard new home! If you are not aware of all the benefits of an Energy Star rated home, please read our Energy Star webpage or Energy Star and Energy Efficiency Blog page. 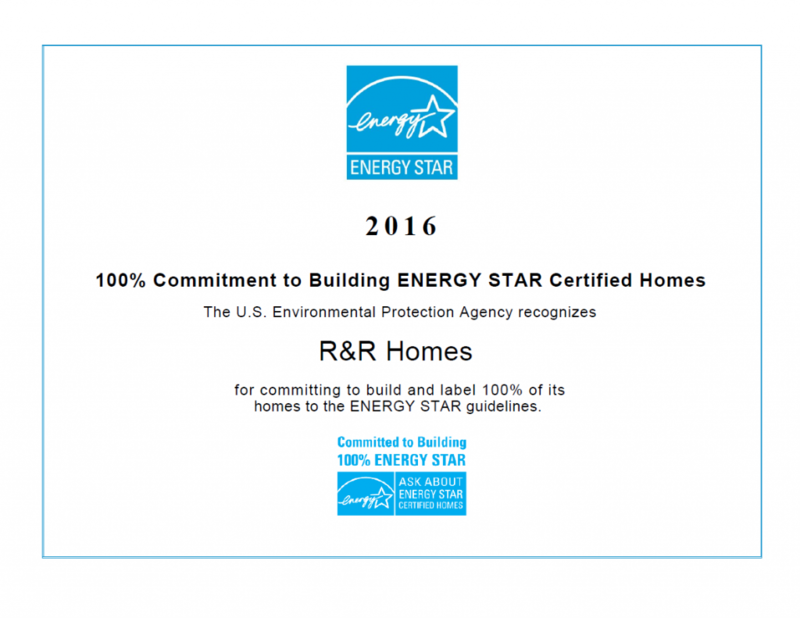 April 26 2016 – Today we received an email from Energy Star that said “Energy Star thanks R&R Homes for its outstanding commitment to energy-efficient new homes and for contributing 8 ENERGY STAR certified homes in 2015. Which is equivalent to reducing CO2 emissions by 14 metric tons, or: Growing 344 tree seedlings for 10 years OR Avoiding the consumption of 31 barrels of oil OR Removing 3 passenger vehicles from the road.” Not only are you helping the environment and the future which your energy efficient choice in homes but you are also saving money on monthly utilities and you have better indoor air quality and a home that will last longer and require less maintenance. April 9 2016 – The Loveland Reporter-Herald has an interesting article on new construction in the Northern Colorado area titled “Homebuilders are busy around Loveland . It states that buildable lots are scarce and new subdivision development is expensive so new homes will only get more expensive. The article states how home prices will only continue to increase in Northern Colorado and of course the supply is dwindling. Now is the time to get a new R&R Homes Energy Star home with the dwindling supply and current low interest rates. December 15 2015 – The HERS score for the new Energy Star home R&R Homes Morro Bay model pre-sale home in Thompson Crossing is 57! This means your new R&R energy efficient home is approximately 43% more energy efficient than a standard new home! If you are not aware of all the benefits of an Energy Star rated home, please read our Energy Star webpage or Energy Star and Energy Efficiency Blog page. September 2 2015 – The HERS score for the new Energy Star home Hollister model pre-sale home on Ridgway Drive is 54! This means your new R&R energy efficient home is approximately 46% more energy efficient than a standard new home! If you are not aware of all the benefits of an Energy Star rated home, please read our Energy Star webpage or Energy Star and Energy Efficiency Blog page. July 14 2015 – The HERS score for the new Energy Star home Morro Bay model at 4655 Ridgway Drive Loveland CO 80538 is 55! This means your new R&R energy efficient home is approximately 45% more energy efficient than a standard new home! If you are not aware of all the benefits of an Energy Star rated home, please read our Energy Star webpage or Energy Star and Energy Efficiency Blog page. June 15 2015 – The HERS score for the R&R Homes new Energy Star semi-custom Morro Bay model home in Kendall Brook is 54! This means your new R&R energy efficient home is approximately 46% more energy efficient than a standard new home! If you are not aware of all the benefits of an Energy Star rated home, please read our Energy Star webpage or Energy Star and Energy Efficiency Blog page. June 8 2015 – The HERS score for the R&R Homes new Energy Star semi-custom Cambria model home in Kendall Brook is 52! This means your new R&R energy efficient home is approximately 48% more energy efficient than a standard new home! If you are not aware of all the benefits of an Energy Star rated home, please read our Energy Star webpage or Energy Star and Energy Efficiency Blog page. May 22 2015 – The official Energy Star website has really good information on the benefits of a new Energy Star home. Please visit their website to see why you should save money every month on utilities and enjoy better indoor air quality and have a higher re-sale value. April 7 2015 – Once again, we passed our final inspections on the first day of inspections! The R&R Homes new Energy Star semi-custom Hollister model home in Thompson Crossing had no issues for the inspector. Our 126 item final checklist really pays off! April 6 2015 – The HERS score for the R&R Homes new Energy Star semi-custom Hollister model home in Thompson Crossing is 52! This is our best HERS score ever and it shows how we are constantly improving our construction methods. This means your new R&R energy efficient home is approximately 48% more energy efficient than a standard new home! If you are not aware of all the benefits of an Energy Star rated home, please read our Energy Star webpage or Energy Star and Energy Efficiency Blog page. March 24 2015 – Bankrate.com just listed the Top 10 states for retirement and Colorado is #2! From Bankrate, “The best states on our list typically have low costs of living, strong health care systems, low crime and tax rates, comfortable temperatures, low humidity and lots of sun. Bankrate’s 2015 ranking also included a specialized “well-being” score that considers residents’ general happiness and satisfaction with their surroundings. The score is based on the Gallup-Healthways Well-Being index.” Now you know why some many people find our new Energy Star homes in Northern Colorado so appealing! March 10 2015 – The HERS score for the R&R Homes new Energy Star semi-custom Cambria model home in Thompson Crossing is 54! This means your new R&R energy efficient home is approximately 46% more energy efficient than a standard new home! If you are not aware of all the benefits of an Energy Star rated home, please read our Energy Star webpage or Energy Star and Energy Efficiency Blog page. February 27 2015 – Builder Online posted an article ranking Fort Collins, CO as the 3rd healthiest housing market in the country and Greeley, CO was the 9th. We agree and are still seeing strong demand for our new Energy Star, well-built homes here in Northern Colorado. February 6 2015 – A recent report from BizWest stated “NoCo home sales will increase in number, price in 2015.” We agree and are still seeing strong demand for our new Energy Star, well-built homes. January 30 2015 – The HERS score for the new Energy Star home at 4635 Ridgway Drive Loveland CO 80538 is 58! This means your new R&R energy efficient home is approximately 42% more energy efficient than a standard new home! If you are not aware of all the benefits of an Energy Star rated home, please read our Energy Star webpage or Energy Star and Energy Efficiency Blog page. December 17 2014 – We just received a HERS score of 54 for our other Morro Bay pre-sale on Arkansas Street in Kendall Brook in Loveland. This means their new R&R energy efficient home is approximately 46% more energy efficient than a standard new home! If you are not aware of all the benefits of an Energy Star rated home, please read our Energy Star webpage or Energy Star and Energy Efficiency Blog page. November 7 2014 – We just received a HERS score of 56 for our Morro Bay pre-sale on Arkansas Street in Kendall Brook in Loveland. This means their new R&R energy efficient home is approximately 44% more energy efficient than a standard new home! If you are not aware of all the benefits of an Energy Star rated home, please read our Energy Star webpage or Energy Star and Energy Efficiency Blog page. September 3 2014 – It has been a busy summer! We currently have 6 homes under construction in various stages from closing next week to pouring a foundation next week. We also have 3 new pre-sales homes to start in the next few weeks. We hope everyone had a nice summer and we still have plenty of days of sunshine and warm weather here in Northern Colorado. May 14 2014 – I have seen a push recently in local media that is advising to keep your money local by purchasing from local establishments so your money stays in your community. The money you spend is then spent by local business owners and of course the employees of all businesses since they likely live here. The builder lives in Loveland and all of our sub-contractors all live in Northern Colorado with most in Loveland, Fort Collins and Berthoud. In addition, our material suppliers are all businesses operating in Northern Colorado except for one as they have a product we cannot source here. So in buying a new home from R&R Homes, not only are you getting a great Energy Star home that is very-well built, you are also investing in your community! April 16 2014 – R&R Homes new Energy Star homes include almost all of the features listed in a recent Builder Online article titled “Home Buyers Consider Sustainable Features to be ‘Very Important’“. #1 is Heating/Cooling costs and we certainly exceed this feature as all our new homes are 100% Energy Star rated to prove that our new homes are much better than the majority of new homes on the market today. We also include a programmable thermostat to help control heating and cooling costs. Other highly rated features include energy-efficient lighting and we include at least 50% and usually much more of the lighting in your new home with CFL bulbs. Another item is Energy-Star rated appliances and we include these in our new homes as well. Don’t forget all new R&R Homes come with a side-by-side refrigerator with ice and water on the freezer door! April 16 2014 – Great news for the buyers of our new homes in Northern Colorado. “A Gallup poll released Friday 4/11/2014 indicated that residents of the Fort Collins-Loveland area were more likely than anywhere else in the country to be satisfied with the city or area in which they live. A whopping 94.9 percent of local respondents participating in the 2012-2013 survey said they were satisfied with Fort Collins and Loveland.” The full article can be read here at the NCBR website. April 16 2014 – This article in EcoBuilding titled “High-Performance Features Becoming More Common in Single-Family Homes?” details the most-likely features to be found in new single family homes from the NAHB. 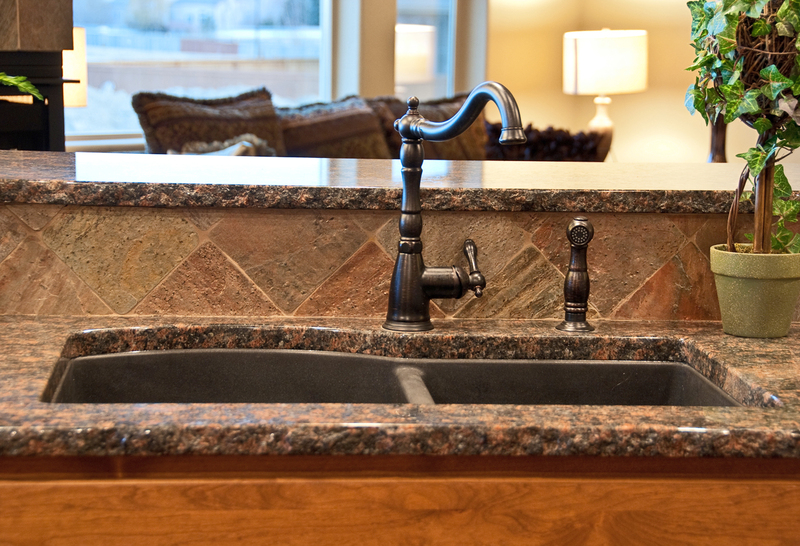 Of the 18 items on this list, R&R Homes includes 15 of these items as a standard feature! The top items are a walk-in master bedroom closet, Low-E windows, a laundry room, a great room, Energy Star appliances and a programmable thermostat. The other 3 features can easily be integrated into your new home – 9′ main level walls, bathroom linen closet and kitchen island. EcoBuilding pointed out that nearly a third of these features are energy or green related features and R&R Homes includes all of these in our standard features. On top of that, all new R&R Homes are 100% Energy Star certified! We are very proud of this accomplishment and will continue to do this in 2014 and beyond! April 9 2014 – The new home market in Northern Colorado is still doing well as all of our spec homes are under contract and we are speaking with multiple buyers on pre-sale homes in Windsor, West Loveland and Kendall Brook. Please contact us if you would like to discuss your new custom Energy Star home. Thank you. March 26 2014 – The HERS score for the new Energy Star home at 2030 Massachusetts St is 57! This means your new R&R energy efficient home is approximately 43% more energy efficient than a standard new home! If you are not aware of all the benefits of an Energy Star rated home, please read our Energy Star webpage or Energy Star and Energy Efficiency Blog page. March 25 2014 – Learn more about Energy Star New Homes in Northern Colorado at Northern Colorado Energy Star Homes. R&R Homes is a proud member of NoCo Energy Star Homes. February 25 2014 – The HERS score for the new Energy Star home at 1625 Antonio Ct is 58! This means your new R&R energy efficient home is approximately 42% more energy efficient than a standard new home! If you are not aware of all the benefits of an Energy Star rated home, please read our Energy Star webpage or Energy Star and Energy Efficiency Blog page. January 24 2014 – Here is an article from the Northern Colorado Business Report where Loveland and Fort Collins was named one of the top ten small metro areas for homeownership by NerdWallet, an analytics company. The original NerdWallet article is here. January 17 2014 – Energy Star has released a video to show why ENERGY STAR certified homes are better for homeowners and the environment. You can see the video here on the Energy Star website. 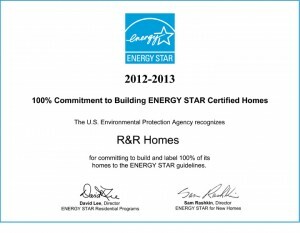 R&R Homes is 100% committed to building new Energy Star homes in Northern Colorado. December 31 2013 – The new R&R Homes Energy Star home for sale at 1635 Antonio Ct Loveland CO 80538 (R&R Homes Hollister model home) just received a HERS score of 60! So this new home is approximately 40% more energy efficient than other new homes. For more information on Energy Star and Green Building in Northern Colorado, please call R&R Homes at 970-567-0907 or click here to visit us at R&R Homes Energy Star Partner webpage. December 16 2013 – According to a Builderonline.com article, 55% of home buyers prefer to purchase new homes instead of re-sale. You can get a brand new Energy Star home with R&R Homes! October 12 2013 – RESNET just released this webpage on the HERS Index to help explain the HERS score on your new energy efficient Energy Star R&R Home. July 1 2013 – What is the HERS index? RESNET has all the answers to your questions. June 11 2013 Update – The new R&R Homes Energy Star home for sale at 1660 Tennessee St (R&R Homes Aspen model home) just received a HERS score of 58! So this new home is approximately 42% more energy efficient than other new homes. For more information on Energy Star and Green Building in Northern Colorado, please call R&R Homes at 970-567-0907 or click here to visit us at R&R Homes Energy Star Partner webpage. May 30 2013 – Energy Star created an HD video about new Energy Star homes and it can be viewed here by clicking on the “Watch the Video” link. 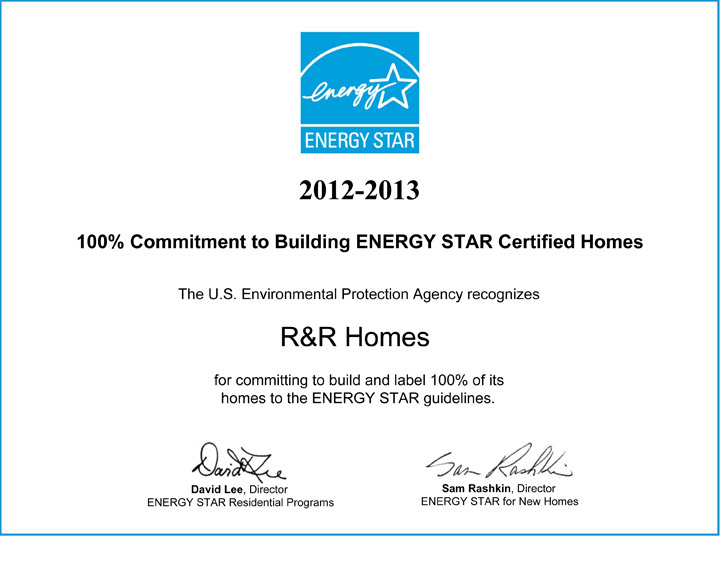 R&R Homes is 100% committed to building new Energy Star homes. R&R Homes builds new Energy Star homes in Northern Colorado. Please call R&R Homes of Loveland at 970-567-0907 for more information or email us at tracy@tracysteam.com.